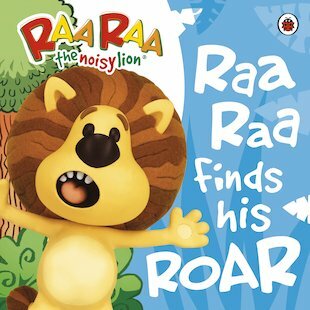 Meet a noisy little lion who loves having LOUD adventures with his jungle friends! Deep in the Jingly Jangle Jungle, Raa Raa is keen to learn lots of noisy new things. But when he discovers that he can’t swing like his monkey friend, Ooo Ooo, or toot like his elephant friend, Huffty, he gets very upset. Can his friends help him to see that being a Raa Raa is very special too? A delightful storybook based on the favourite animated TV show, which encourages youngsters to develop their communication skills by making and imitating lots of noisy sounds! Colour Raa Raa the noisy lion in the jingly jangly jungle!